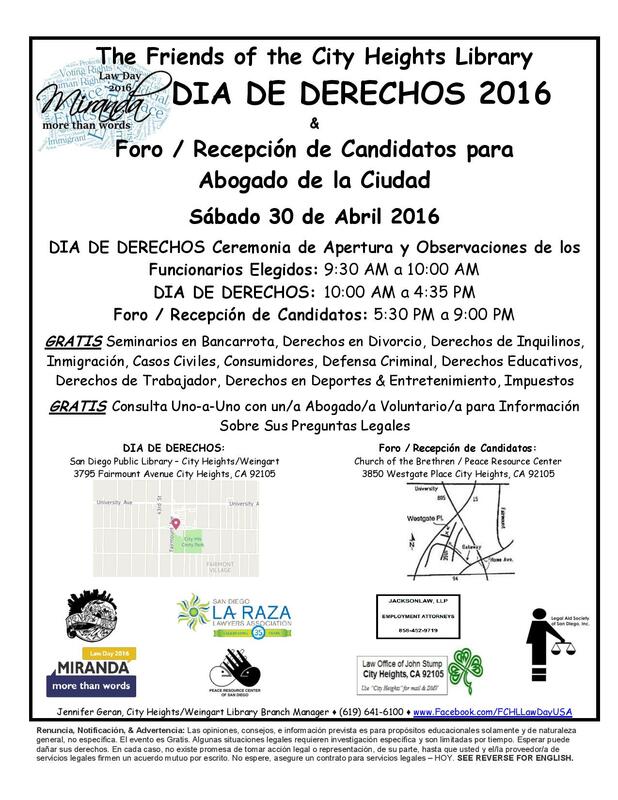 COMMUNITY EVENT: Learn Your San Diego Unified Legal Rights on LAW DAY – Sat., April 30, 2016 – FREE LEGAL CONSULTATIONS!!! Do You Have a Legal Complaint Involving the San Diego Unified School District? Have your legal rights in the SDUSD been abused? Have your complaints been igonored by the SDUSD? This is your chance to understand your RIGHTS! Go to the District Deeds Complaint Forms Page and PRINT OUT the claim and complaint forms you want to file and bring them to the FREE LEGAL ADVICE! 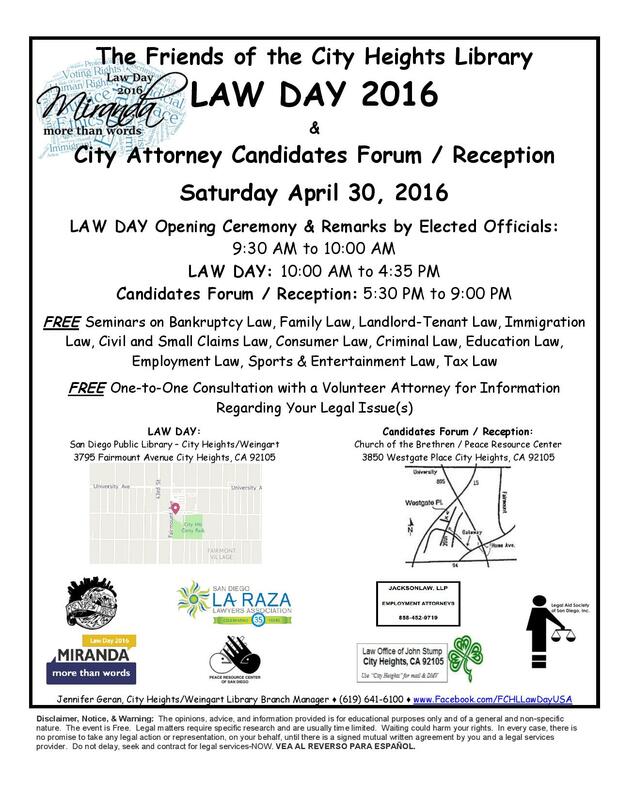 The Friends of the Library and several other community organizations will be hosting “Law Day 2016” Saturday, April 30th, 2016 from 9:30 am to 4:30 pm at the City Heights Weingart Library, 3795 Fairmount Avenue! There will be all kinds of free legal assistance for the community. Offered will be free legal seminars and consultations with attorneys. If this news has inspired you to share important SDUSD information for a future post, please send us an email at districtdeeds@gmail.com – confidentiality is assured! To stay up on ALL the NEWS and get ALL the REAL information about the SDUSD…scroll to the bottom of this page and “Follow” the District Deeds Blog right now! Thanks Frank for the great information!